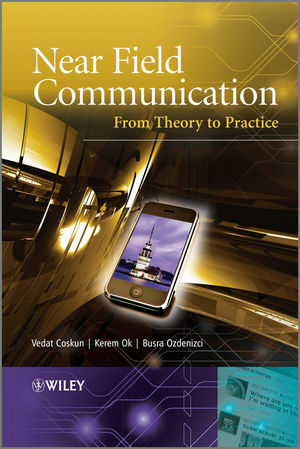 This book provides the technical essentials, state-of-the-art knowledge, business ecosystem and standards of Near Field Communication (NFC)by NFC Lab – Istanbul research centre which conducts intense research on NFC technology. In this book, the authors present the contemporary research on all aspects of NFC, addressing related security aspects as well as information on various business models. In addition, the book provides comprehensive information a designer needs to design an NFC project, an analyzer needs to analyze requirements of a new NFC based system, and a programmer needs to implement an application. Furthermore, the authors introduce the technical and administrative issues related to NFC technology, standards, and global stakeholders. It also offers comprehensive information as well as use case studies for each NFC operating mode to give the usage idea behind each operating mode thoroughly. Examples of NFC application development are provided using Java technology, and security considerations are discussed in detail. This book will be an invaluable guide for business and ecosystem analysts, project managers, mobile commerce consultants, system and application developers, mobile developers and practitioners. It will also be of interest to researchers, software engineers, computer scientists, information technology specialists including students and graduates. Dr. Vedat Coskun, Isik University, Turkey Vedat Coskun received his MS degree from Naval Postgraduate School, U.S.A., and PhD degree from Yildiz Technical University both in Computer Science in 1990 and 1998, respectively. Kerem Ok, Isik University, Turkey Kerem Ok received his MS degree from Isik University, Turkey and currently studying his PhD degree in Information Technology in Istanbul University. Busra Ozdenizci, Isik University, Turkey Busra Ozdenizci received her BS double degree in Information Technology and Business Administration from Isik University, Turkey and currently studying her MS degree in Information Technology in the same University.